Is Israel beyond redemption? Should we conclude, after seven decades of worsening behavior, that while there’s life there’s hope – life for the Zionists and Israel, of course, and, in fact, no hope for Palestine and the Palestinians, at least as far as the state of Israel is concerned. The binary divide is marked on the 68th anniversary of Israel’s ‘independence’. While the Zionists celebrated with street parties and flyovers, the Palestinians in the West Bank were put under lockdown. This was no more a war of ‘independence’ than it was the ‘Unilateral Declaration of Independence’ (UDI) by the Rhodesian white minority leader, Ian Smith, in the 1960s. It was a war of colonial conquest, the most extreme ever waged, even worse than the French invasion of Algeria. It ushered in the Nakba, the takeover of Palestine which has proceeded in stages ever since. The war of 1967 was another war of colonial conquest, based on the lie of a ‘pre-emptive’ attack. Nasser had no intention of attacking Israel and both the Israelis and the Americans knew it. Egyptian Vice-President, Zakariya Muhi al Din, was on his way to Washington to negotiate a peaceful end to a crisis which Israel had generated through military provocations across the DMZ on the Syrian front. Threatened not by war but by peace, Israel struck before he could get there. Talk of extermination and an Arab ‘ring of steel’ was deceptive and aimed at Israelis, with the aim of keeping them in a state of permanent preparedness for the next war. This is the way it has been since the establishment of the State of Israel. The Jewish people of Israel have to be kept on edge permanently. They must live in fear of someone or something – the ‘Arabs’, Hizbullah, Iran, anti-semitism – for Zionism to be able to prevail. In 1967 the ‘international community’ again did nothing as hundreds of thousands more people – this time Syrians as well as Palestinians – were evicted from their homeland. The world remained silent as Israel destroyed the ancient Magharibah quarter in the middle of Jerusalem to make way for a ‘plaza’ outside the walls of the Haram al Sharif. The annexation of Jerusalem was followed by the colonization of the West Bank and in 1981, by the annexation of the occupied Golan Heights. Palestinian resistance was crushed in the newly occupied territories and in Lebanon. ‘Incursions’ into Lebanon were followed by large-scale invasions in 1978 and 1982. Real-time television enabled the world to see with its own eyes what Israel was really like behind the clichés of the Middle East’s only democracy and the world’s most moral army. The bombardment of Beirut and the massacres of Sabra and Shatila opened eyes formerly sympathetic to the Zionist super colony and its brutality during the first and second intifadas, even wider. The war of 1967 is likely to be remembered not just as a war of conquest but as the war that marked the peak of Israel’s military prowess (within the context of conventional war). In 1973 Israeli forces were being routed in Sinai when Sadat unilaterally stopped the war. Had he not betrayed Assad the Zionists could have been driven out of Egypt and off the Golan Heights. Sadat’s treachery and the rapid resupply of weaponry and ammunition by the US enabled Israel to stage a comeback but the myth of its invincibility had finally been shown up for what it was. During the land invasion of Lebanon in 1982 small contingents of Palestinian guerillas and Syrian soldiers repeatedly blocked the Zionist advance. The logistics of the land campaign were a mess but there was no answer to Israel’s rampage from the air. The final death toll was close to 20,000. The vast bulk of the dead were civilians, crushed or buried alive in their collapsed apartment buildings and slaughtered on the streets by indiscriminate missile strikes and artillery fire. Retreating from Beirut after the outrage of Sabra and Shatila, the Zionists held on to southern Lebanon and no doubt would still be there had Hizbullah not forced them out in 2000. This was their first real defeat since 1948 and was administered by a guerilla army. The humiliation left Israel thirsting for revenge, yet when it tried to destroy Hizbullah in 2006 it was humiliated again. Its ground forces proved incapable of advancing more than a few kilometers beyond the armistice line. Its soldiers were repeatedly trapped and saved from annihilation only by air power. Its prized Merkeva tanks were destroyed and one of its warships crippled by a Hizbullah sea-to-air missile. The salt in the wound was that it was Hizbullah’s part-time reserves – basically young men who pick up weapons when required – stopped the Israelis in their tracks despite the complete imbalance in firepower and number of fighting men on the ground. The professional Hizbullah core stayed north of the Litani River which was why after taking a beating for weeks the Zionists did not dare cross it. In their frustration the Zionists lashed out with their air power. They killed 1,400 civilians, about 400 of them children, and many from the Shia suburbs of south Beirut, with planes and missiles provided by the US. Apartment buildings, roads, bridges and power stations were obliterated in what was to become the ‘Dahiya strategy’, named after the Shia southern suburb of Beirut where Israeli warplanes wreaked the most damage. The next time around, the Zionist generals threatened that the ‘Dahiya strategy’ would be applied to the whole of Lebanon. In readiness for this seemingly inevitable event Hizbullah has been stocking up with missiles which it says can reach any part of occupied Palestine. It knows as does its mortal enemy, that if Zionist air power is ever neutralized the state of Israel is going to be in serious trouble. These wars highlight some home truths about the so-called ‘IDF’. None of its wars have been about ‘defence’ but rather about seizing more land or ‘defending’ land already stolen. Israel is ‘defending’ what does not belong to it. It is ‘defending’ its denial of the rights of another people. It has fought wars against regular armies on very few occasions. In Gaza, the West Bank and Lebanon the bulk of its victims have not been fighting men but civilians. Far from being a righteous army it has a long track record of the most despicable massacres of civilians. Far from condemning these massacres – allowing for such exceptions as the mass protest in Tel Aviv following the IDF-supervised Sabra and Shatila atrocities – a large number of Israel’s Jewish citizens support them. During Israel’s numerous onslaughts on Gaza, Jewish colonialists on the other side of the fence cheer and jump for joy every time another apartment building crowded with families is hit by missiles or tank-fire. Hatred of ‘the Arabs’ (the Zionists can scarcely bring themselves to call them ‘Palestinians’) is now more openly expressed than ever. The point has been reached where civilians join in the killing of Palestinians – even looking like a ‘terrorist’ was enough for an Eritrean to be beaten to death by bystanders in a bus terminal. The mother of the soldier who recently murdered a young Palestinian in Hebron was not horrified that her darling boy cocked his rifle and casually put a bullet through the head of a wounded man as he lay on the road. No, what concerned her was that he had been arrested. “Is it appropriate that a fighter who neutralizes a terrorist at the site of an attack be detained almost a whole month”, she complained to Netanyahu. “Manslaughter, for God’s sake, for neutralizing a terrorist? Is it conceivable that a dedicated, moral fighter be accused of manslaughter on [Netanyahu’s] for shooting a terrorist?” Of course, the ‘terrorist’ had already been ‘neutralized’ and the soldier should have been charged not with manslaughter but murder. 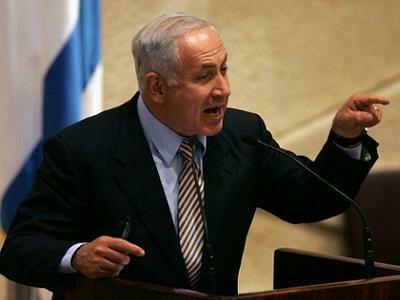 Polls showed that nearly 60 percent of Jewish Israelis supported the murder of the Palestinian. In other words, it might be said that nearly 60 percent of Jewish Israelis are certifiable sociopaths. It was for this reason that an Israeli general recently drew a parallel between Israel and Germany in the early 1930s: “It is scary to see horrifying developments that took place in Europe begin to unfold here.” In Tel Aviv supporters of the soldier who murdered the Palestinian in Hebron held a rally in defense of the murderer, dancing, wrapping themselves in the Israeli flag and blowing the twisted ram’s horn known as the shofar. The Palestinian-hating settler politician, Avigdor Lieberman: “I would prefer a soldier who made a mistake and stayed alive over a soldier who hesitates and is murdered by a terrorist” – a mistake, shooting a wounded man in the head in cold blood? These murderous feelings are the outgrowth of decades of institutionalized and deliberately inculcated racism. The decline is charted in one survey of public opinion after another. Asked whether the ‘Arabs’ should be transferred or expelled from Israel (Pew Research Centre 2014/15), 21 percent strongly agreed, 27 percent mostly agreed. Expulsion or transfer was supported by 71 percent of the religious community. This poll was taken before the recent wave of stabbings so the number of Jewish Israelis who want the ‘Arabs’ out would probably now be significantly higher. Asked whether they would live in the same building as ‘Arabs’ (Israel Channel Two poll April 2015), 49 percent said they would not (compared to 42 percent not opposed). An October 2012 poll (Dialog) found that 59 percent of Jewish Israelis think Jews should be given preference over ‘Arabs’ in admission to government jobs. Forty-nine percent thought the state should treat Jews better than ‘Arabs’ (which of course it does already at every level); 42 percent did not want to live in the same building as ‘Arabs’; 30 percent would support a law barring ‘Arabs’ from voting in the Knesset; 69 percent would oppose ‘Arabs’ being given the vote if Israel annexed the West Bank; 74 percent favored separate roads for Jewish Israelis and ‘Arabs’ on the West Bank; and 47 percent would like to see Israel’s pre-1967 ‘Arab’ population transferred to areas under the control of the Palestinian Authority on the West Bank. A 2010 poll (Israel Democracy Institute) found that one third of Jewish Israelis would favor putting the Palestinians in internment camps during time of war. Another survey held in March the same year by the Maagar Mochot Institute found that nearly half of Israeli Jewish high school children (15 to 18) believed ‘Arabs’ were not entitled to the same rights as Jews. More than half (56 percent) would deny ‘Arabs’ the right to vote; 49.5 percent believed ‘Arabs’ should not be given the same rights as Jews (82 percent among religious students). Going as far back as 1963, a poll of 1000 children aged from eight to 14, drawing on Biblical accounts of the destruction of Jericho, ‘and all that was in it, men and women, young and old, ox and sheep’ – the same treatment being given to the inhabitants of another nearby city, found that 600 of them totally approved of the destruction of these cities and their non-Jewish inhabitants. Rabbis, politicians and even some academics have been complicit in the build-up of this hatred, calling the ‘Arabs’ tumors, snakes, ‘two-legged beasts’ (Menahim Begin), ‘cockroaches in a bottle’ (Rafael Eytan) and wild animals who need to be caged (Benny Morris). In 2007 the former chief Sephardi rabbi, Mordechai Eliyahu, ruled that there was no moral prohibition against the killing of civilians during a military offensive. His son Shmuel, chief rabbi of Safad, followed on, saying that if they [the ‘Arabs] “don’t stop after we kill 100, then we must kill 1000, even a million, whatever it takes to make them stop.” In January this year, during the ‘stabbing intifada’, he said Israel should execute wounded ‘Arabs’ rather than leave them alive. In November 2015, 29 Orthodox and Chabad rabbis signed a letter calling for the ‘execution’ of all Palestinians who hurt Jews. The signatories included the settler fanatic, Dov Lior, Yitzhak Grinsburg and Yitzhak Shapira, the author of the Torat Ha Melech (The King’s Torah) which rules that in times of war soldiers can kill babies in their cribs because one day they will grow up to harm Jews. These readings of the Torah are as hateful and as murderous as the Islamic State’s reading of the Quran. It will be argued that these people are ‘extremists’ and of course they are, murderous, relentless genocidal extremists, but what the polls show is how deeply these sentiments have worked their way into the mainstream. The ultimate source of these attitudes is an ideology based on theft and dispossession under the cover of the lie that this is ‘our’ land. For such criminality to succeed the Palestinians (the ‘Arabs’) had to be stripped of their dignity as human beings. They had to be portrayed as uniformly lazy, brutal, rapacious, addicted to violence and bent on killing Jews for no other reason other than being Jews. There could be no letup: these images had to be continually reinforced for the Zionist project to succeed. The suppression of the best human instincts – compassion, empathy, understanding and the capacity to acknowledge wrongs done – was essential, accounting for how people who can be decent human beings in other areas of their lives can express such contemptuous, hateful and even murderous views when it comes to the Palestinians. These deliberately created splits in the personality are far from uncommon. Racism was a powerful motivating force in both imperialism and extreme nationalism. The Nazi state encouraged hatred of the Jews amongst otherwise ‘decent’ Germans – the doctrines of apartheid South Africa shaped hateful attitudes towards the black population among the otherwise ‘decent’ white minority population; and seven decades of propaganda and indoctrination through ‘education’ has had the same insidious effect on Israeli Jewish attitudes towards the Palestinians. Israel’s ‘strength’ feeds off the financial and political support of the US, and the refusal of the ‘international community’ to hold it to account. The pandering of Hillary Clinton and Donald Trump to the Zionist lobby has been shameless. Trump intends to move the US embassy to Jerusalem if elected and has urged Israel to continue building settlements in the West Bank. Israel is now planning the annexation of 60 percent of the West Bank: no doubt the State Department has said or will say that this will not help the ‘peace process’ as if anyone seriously believes there is one. Only recently Netanyahu held an open-air cabinet meeting on the Golan Heights as a signal to the world – a raised finger to the world – that Israel has no intention of ever handing them back to a country which it hopes will soon no longer exist. Yet, even against these challenges to international order, Israel is still rewarded, most recently by being taken into the NATO fold. Turkey allowed this by lifting its veto against Israel, thus opening a permanent mission in Brussels; Turkey’s president has called Israel a terrorist state and has taken a high profile as a defender of the Palestinians. After nearly 70 years it is clear that diplomacy has completely failed or, to put it another way, that it is not going to succeed in bringing about any kind of ‘just’ settlement. King Hussein of Jordan spent decades talking to the Zionists behind closed doors and had to admit shortly before he died that it was all for nothing. For all the risks he took – including the signing of a peace treaty – the Zionists gave him nothing back except, from time to time, a promise not to bomb him. The Palestinians are not back where they started but worse off than when the PLO eschewed violence for the diplomatic track back in the early 1970s. Diplomacy and an interminable ‘peace process’ simply enabled Israel to continue its war on the Palestinians by alternative means. Every coin has two sides and the loss of Palestine is no different. One side is Zionist and the other Arab. By the time of the 1967 war the ‘Arab idea’ was fading fast. Now there is nothing but fragmentation, confusion, discord and sectarian hatred. Arabs are too busy killing each other to worry about Israel. Saudi Arabia has its war in Yemen and, with Qatar, has poured billions of dollars into the effort to bring down the government in Damascus. Qatar took the lead in providing an Arab face for NATO’s destruction of Libya, a project backed by the Arab League. Israel is not even the common enemy any longer. Collusion by Arab states with the Zionists is scarcely covert. It is in these stinking waters that Israel swims. What it wants is for the Arab world not to be what it is (or what it was or what it thinks it was). It wants the Arab idea dead and buried and with Arab help it is succeeding in achieving this objective. It wants the geography and political landscape of the Middle East rearranged and it is achieving this objective as well. Arab governments apparently cannot see (or do not care) that they are putting their signatures to the end of the ‘Arab world’ as any kind of collective entity. They have colluded in bringing the forward movement of ‘Arab’ history to a dead halt. Surely this cannot have been the region that produced some of the greatest warriors and thinkers in history. The fall from great heights to such sleazy depths is simply too great. Obviously, Arab history was not history at all but a mere fairy tale, an entertainment for children before they fall asleep, no different than Hay ibn Yaqzan or the stories in Qalilah wa Dimna. The Palestinians have tried everything. It is not they who have ‘never missed an opportunity to miss an opportunity’ as Israeli Foreign Minister Abba Eban once remarked but Israel. It has never been willing to trade land for peace. It wants land and peace and seems to hope that time will resolve the inherent contradictions in this formula. The outlook is terribly bleak but is it beyond hope? There are reasons to think not. If Israel does annex the West Bank and refuses to grant citizen rights to the Palestinians, it will openly be turning itself into an apartheid state and even more of a pariah state on the world stage. The global BDS campaign university is gathering more support every day. Corporations, faculties, churches and other social groups are all disinvesting. The invective pouring out of the Israeli government and its lobbyists and their attempts to criminalize BDS are a sure measure of its success. In the US John Mearsheimer and Stephen Walt broke a taboo with the publication in 2007 of their book The Israel Lobby and US Foreign Policy. They were not wild-eyed lefties but conservative mainstream academics at two of the best universities in the world – Chicago and Harvard. The fact that a book questioning the nature of the ‘special relationship’, on moral as well as political grounds, could even find a mainstream publisher was itself an indication that public opinion was shifting. Since then there have been further setbacks for Israel, most recently the failure of the lobby to block the agreement with Iran. Meanwhile, on campuses Jewish students are just as likely to sign up for the BDS campaign as to oppose it. They no doubt support Israel’s ‘right to exist’ but they do not support what it has become. Their support is no longer uncritical – as it might have been back in the 1960s – and can no longer be taken for granted. In the directly political sphere Bernie Sanders criticized Israel, not very harshly but he did criticize it and in a presidential campaign this is an absolute first. The Europeans are taking a tougher line. The EU is blacklisting Israeli companies and blocking the funding of any Israeli entity operating in the West Bank. Both the EU and the US government are prohibiting goods manufactured in the West Bank from being labeled ‘made in Israel.’ In European parliaments and amongst the general public Israel is steadily losing ground. The wheel of history turns slowly but it does turn and it is turning against Israel all the time. It is often impossible for people or for empires and states who have great power to imagine the day coming when they will be devoid of that power. Israel has made lots of enemies and has only one ‘friend’. Even that friendship is doubtful: if Hillary Clinton and Donald Trump are declaring undying love for Israel it is not out of love but out of fear, of the damage the lobby can do if they dare say anything else. The US is certain to go through its own upheavals. The day may come when it can no longer afford to give Israel four or five billion dollars a year – the day may come when for moral and political reasons it does not see why it should. The final element in this mix is the Jewish people of Israel. What do they want – a real peace or an ersatz peace based on occupation and the permanent oppression of another people? Netanyahu, Naftali Bennett, Avigdor Lieberman, the settlers and fanatical rabbis are holding out the second option as if Israel has no other choice. Lying about the past and justifying every cruelty in the present, Israel is poisoning itself. What greater threat to its future could there be than this?